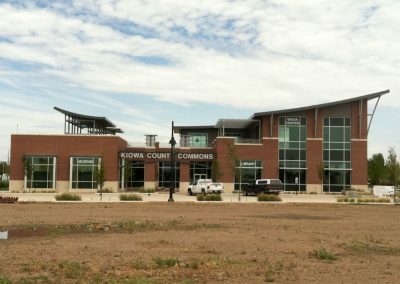 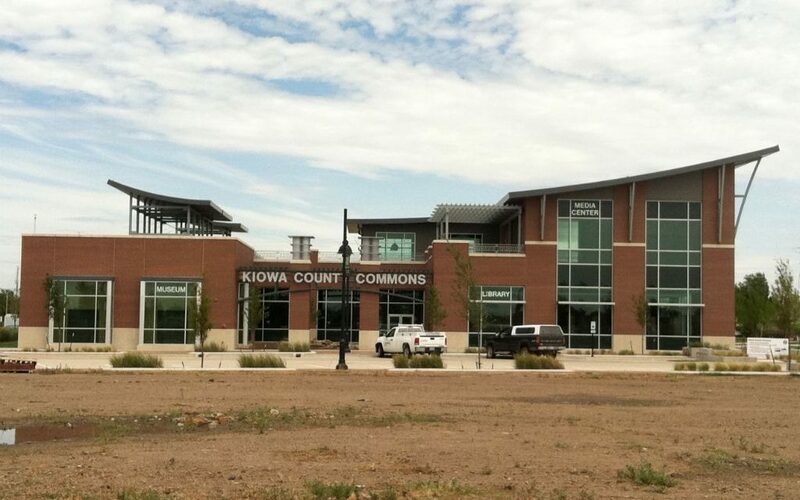 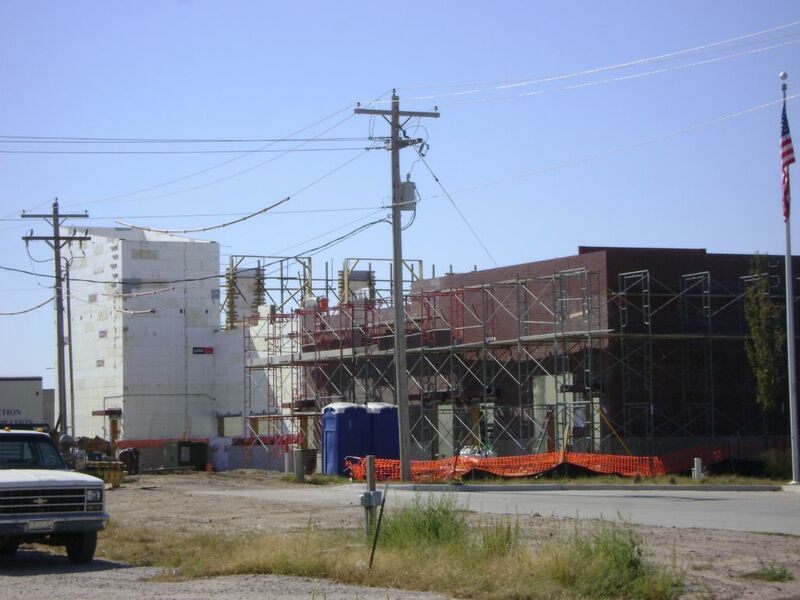 Kiowa County Commons is the centerpiece of the rebuilding effort in Greensburg Kansas. 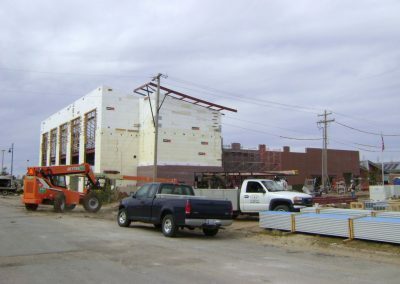 Literally wiped of the map by an EF-5 tornado is 2009, the town has vowed to rebuild using sustainable, disaster resistant technologies. 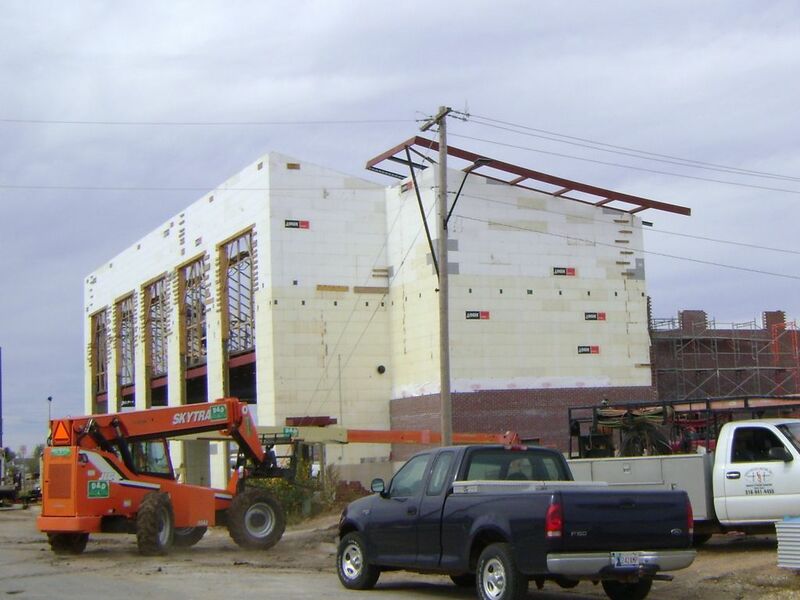 It will be the largest green building effort in the U.S. when completed. 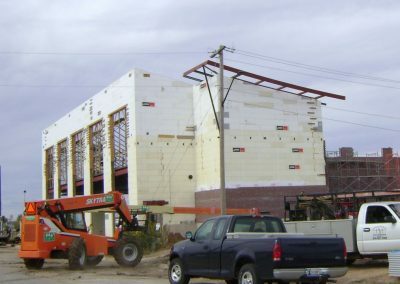 The design features a sweeping concave roofline, which required the ICFs to be cut perfectly to match—at 40 feet above the ground. 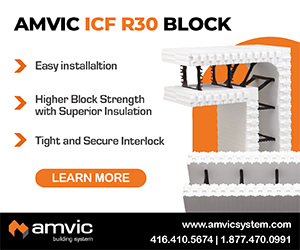 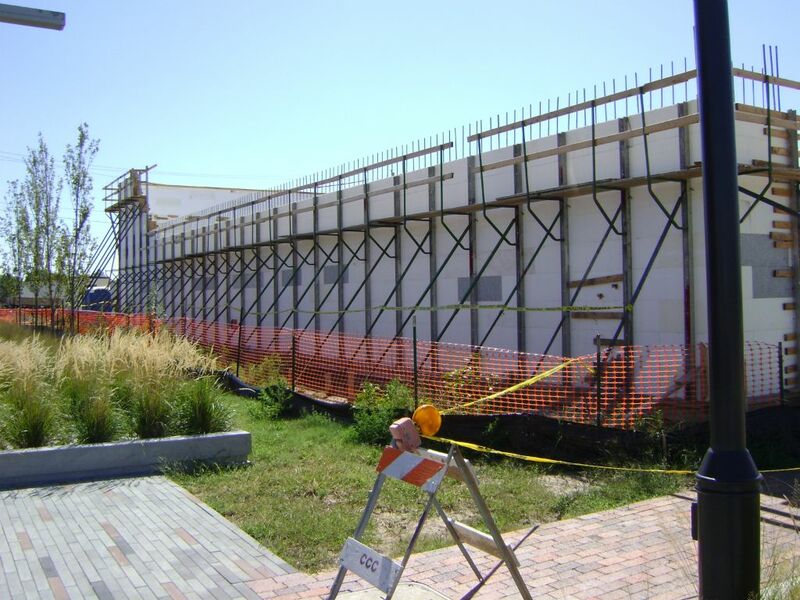 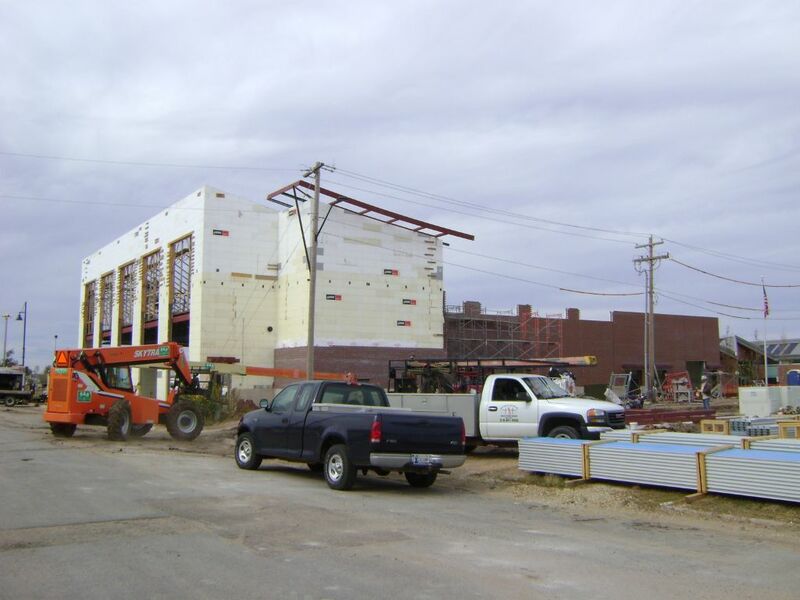 ICFs were also used for the elevator shafts and stairwells, and to support the vegetated roof. 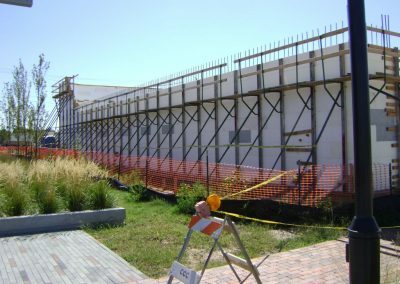 Runoff from the metal roofing is collected for irrigation. 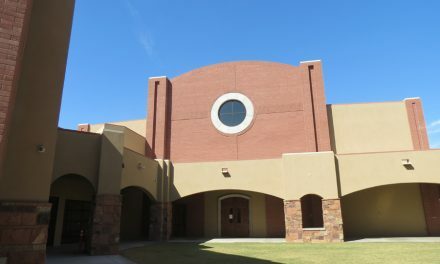 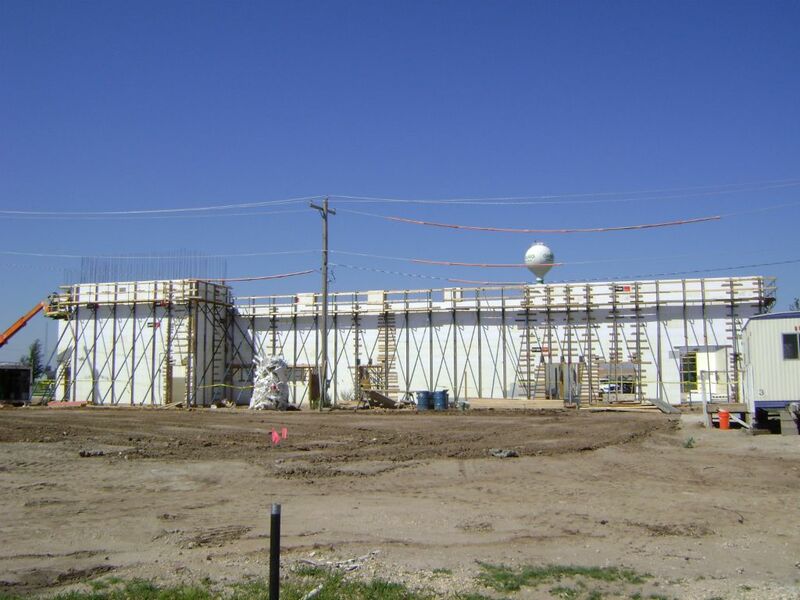 Kent Webber, at Beran ICF Solutions, which did the install, reports that there were more than 1,100 bearing plates that had to be installed perfectly in the walls. His crew got the entire ICF install done, level, square, plumb, and on budget, in 20 days. 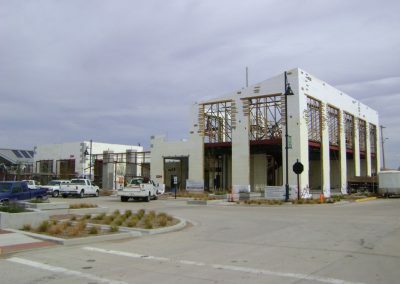 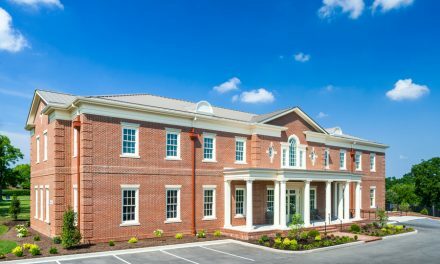 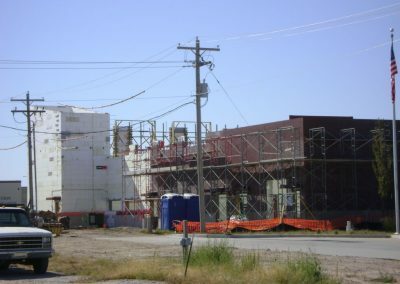 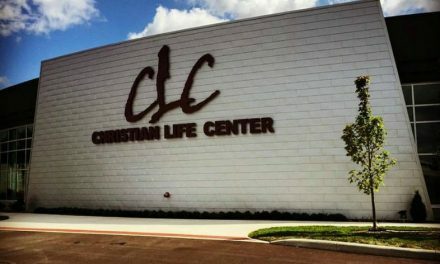 The project is now a model for rebuilding other areas ravaged by natural disasters, including Joplin Missouri, hit by a similar tornado last fall. 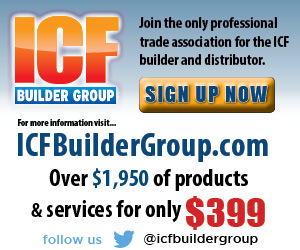 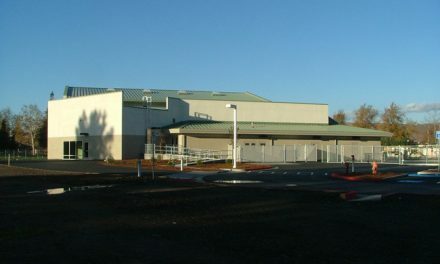 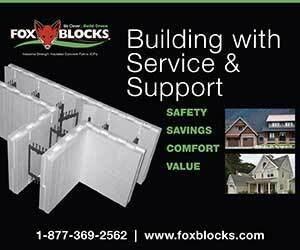 ICF Distributor: Form Systems, Inc.